The automatic stay is a court order that is entered automatically as soon as a bankruptcy case is filed. This order prohibits creditors from trying to collect a debt. The second a bankruptcy case is filed, creditors can no longer harass you about a debt by phone, send threatening letters, file law suits, garnish wages, repossess cars, foreclose homes or do anything else that amounts to collecting a debt. The automatic stay is intended to give a debtor some time to reorganize while the bankruptcy goes through. It is different from the discharge, which is a permanent injunction prohibiting creditors from trying to collect a debt. The discharge has some major exceptions, such as student loans, some back taxes, back child support and alimony and fines. 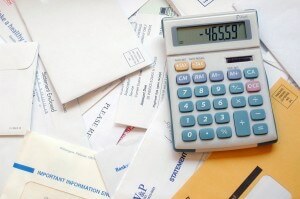 The automatic stay applies to debts that can not be discharged. It lasts until a bankruptcy is closed. A Chapter 7 usually lasts only three or four months but a Chapter 13 lasts for three to five years. Some people file a Chapter 13 for the automatic stay protection of debts that can not be discharged while they get back on track. A creditor can be sanctioned for actual damages, attorney’s fees and punitive damages if they violate the automatic stay. To be sanctioned they must know about the automatic stay. Even if they do not get notice before they collect a debt after you file bankruptcy, once they get notice they have to remedy any violation of the stay. So, if they garnish wages or take a car without notice they have to give it back if it was done after the bankruptcy was filed. If they have notice, garnish wages and you suffer late charges or other problems, you force them to pay for whatever costs you incurred because they took the money. A creditor can ask the court to modify the stay in some cases. That means the court will order that they stay no longer applies to a certain creditor. Creditors like mortgage companies or car companies can modify the stay in a Chapter 7 if you are behind on payments in as soon as a month. In a Chapter 13, creditors usually have to show that you are not making trustee payments, property is not insured or the plan is unfeasible. In some instances the stay is modified automatically. Examples are when a debtor does not file a statement of intention in a Chapter 7 for a car loan or they file more than one bankruptcy in a year. In Washington, a Chapter 7 will not reinstate a drivers license that has been suspended for failure to pay tickets but a Chapter 13 automatic stay will give a debtor three to five years of protection from collection for tickets, giving them a chance to reinstate a license and get back on track in the meantime. You can reinstate a license suspended for uninsured accidents in bankruptcy because the stay does apply to them.